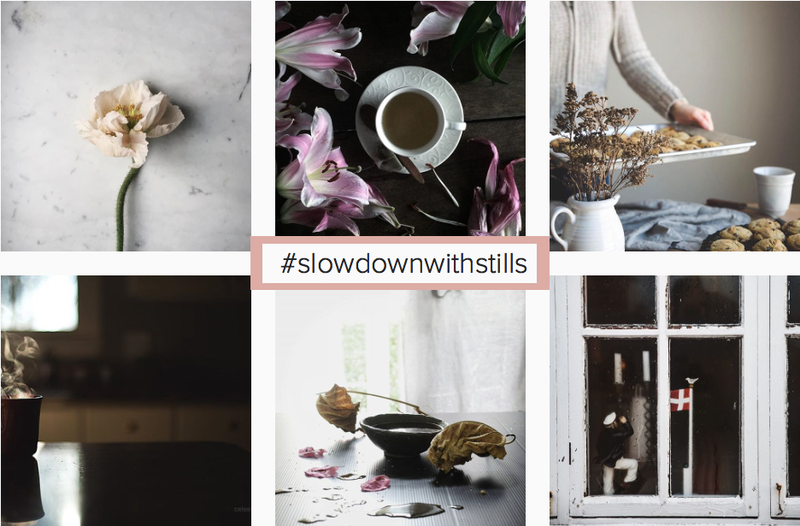 I´m SUPER excited to welcome you to my brand NEW + FREE 5-day photography challenge, designed for still life and food photography enthusiasts just like you! If we haven’t met, I’m Christina Greve: Professional Lifestyle Photographer, Creative Coach and Life Design Mentor. After a decade of working with psychology and coaching, my passion for photography evolved into a full-time photography and educational business. I´ve coached thousands of fabulous women from more than 40+ countries and had my work featured in numerous magazines, blogs and books worldwide. I absolutely LOVE what I do and with this free mini course I get to share one of my biggest passions with you; FOOD & STILL LIFE PHOTOGRAPHY. I also love to get straight to the point, so let’s dive in. 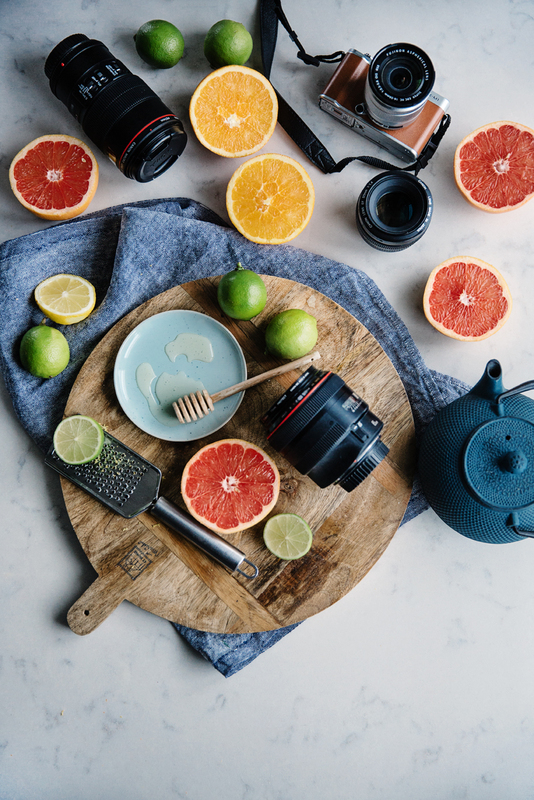 Over the next 5 days I’ll show you step by step how to improve your food and still life photography,so you can get your creative juices flowing and discover simple strategies for capturing beautiful pictures. I believe a beautiful photograph tells a story and give a sense of atmosphere. By giving thoughts to styling and mood in a photo, you can create a strong visual image – one that evoke emotions and memories. The props, the light, the colors, the shadows and the editing are all working towards conveying a particular sense of meaning and atmosphere. What camera or lens you use are not as important as you might think. It´s not the equipment that makes the photo it´s YOU. 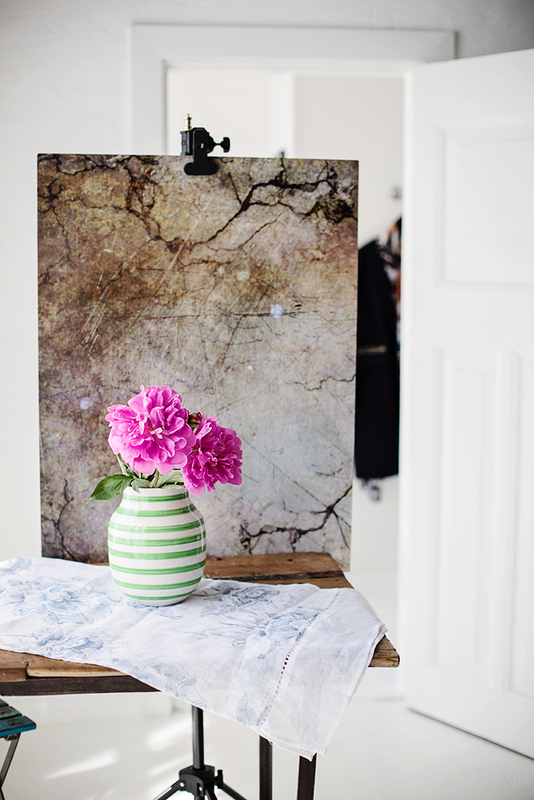 You make a photo interesting by putting some thoughts into it and by making style decisions. Always emphasize creativity and storytelling over photography gear. If you sometimes feel your creative progress is slow or if you blame yourself for not being talented or good enough, then remember this; Everyone was once a beginner. Every pro photographer was once a novice. Every top athlete was once out of shape. After all life is a process – a journey. You must not be impatient; be supportive of yourself. STOP focusing only on how far you still have to go, and take a moment to look at where you came from… you might be surprised by what you find… That´s ALL that really matters! Your photography journey is about EXPERIMENTING, testing, trying, practicing until YOU are happy with the result. The ONLY photographer you should compare yourself with is the one you were yesterday! Okay, let´s get you started! 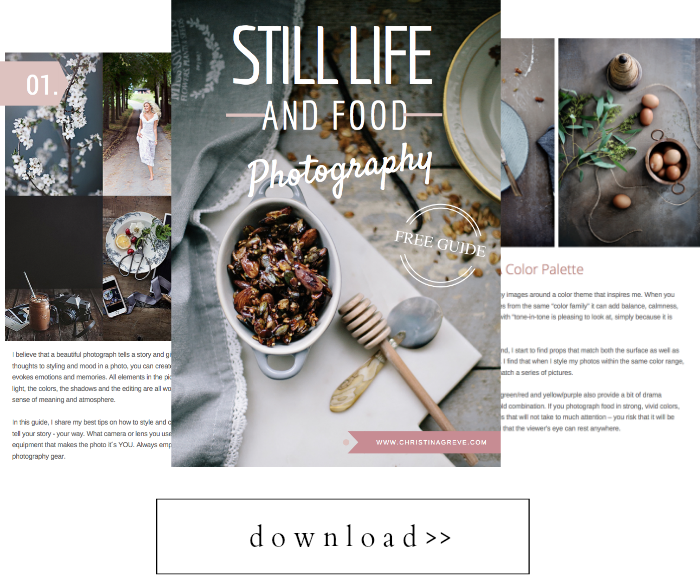 DOWNLOAD the ebook here: Still Life & Food Photography-4.pdf Then tomorrow, you´ll get the first lesson send directly to your email.